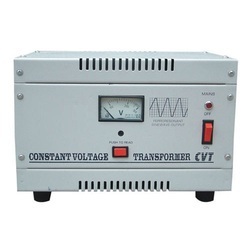 CVT (Constant Voltage Transformer) is designed on the basic principle of Ferro - resonance, in which output winding is resonated with the help of select value or high stability capacitors. This is the most reliable product as there is no moving part thus bringing maintenance cost to zero. We are looking for inquiries from South India region including Andhra Pradesh, Karnataka, Kerala and Tamil Nadu and cities like Bangalore, Chennai, and Hyderabad. 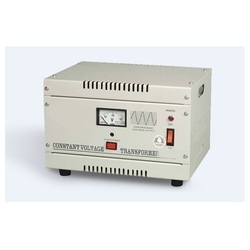 We are the leading supplier of Electric Constant Voltage Transformer. 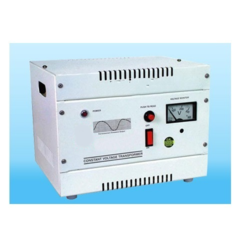 We are offering Three Phase Constant Voltage Transformer to our clients. 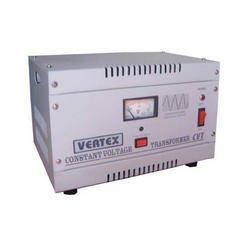 We are the leading supplier of CVT Voltage Transformer. Output voltage varies as a function of frequency unless a frequency compensating network is used. The output voltage will vary 1.6% for a variation of 1% (0.5 Hz) input frequency. Physical size & weight of a CVT is larger than a linear transformer of the same rating. There are a hum noise increases as the CVT rating increases. Very expensive when compared to Servo Stabilisers. Switch on CVT before switching ON the Load & while switching OFF switch, OFF Load first & then the CVT. Switch OFF CVT when not in use to save power. CVT cannot be used for an inductive load. Keep magnetic storage & display devices like diskettes, spools, monitors, etc. away from the CVT. We are offering Constant Voltage Transformer to our clients. Looking for Constant Voltage Transformers ?